No surprise that the FBI kept files on Walter Cronkite, one of America’s most influential newsmen. The documents said Cronkite encouraged Florida college students to invite Sen. Edmund Muskie to speak at a protest in 1969. The document said that Cronkite told the students that Muskie would be nearby for a fundraiser and that CBS would fly Muskie by helicopter to and from the rally, Yahoo! reported. 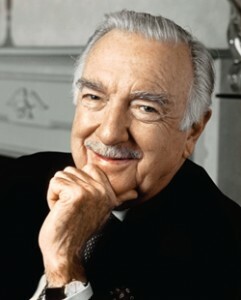 Cronkite died last year at age 92. Posted: 5/14/10 at 1:17 PM under FBI, News Story.